The Index is arranged alphabetically by surname and has been divided into 24 pages, one for each letter of the alphabet (there are no surnames beginning with X or Z). Click on the first letter of the surname you wish to find to go to that page or use the search function. On each graveyard index page, the column headed "Position" is a reference shown on the plan. 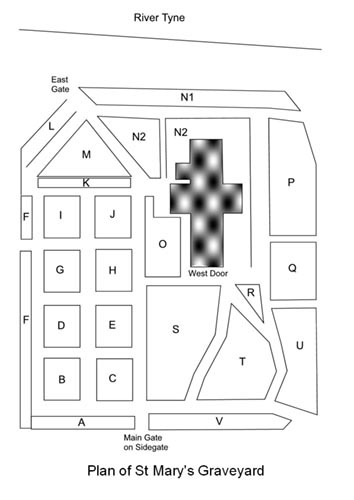 The plan is also available in the church and can be downloaded here. Click on one of the letters below or use the search function at the bottom.